Heather Wallace has been channeling information for more than a decade. To use her word, �translator� is a more accurate term for what she does when she connects with spiritually aware entities from the spirit plane. She only connects and collaborates with beings working toward the greater good with love and integrity; she protects herself from malevolent beings and does not allow them to break through her psychic barriers. For her collaboration on Shift: New Paradigms for a New Earth, she connected with a being called �Holly� from the Pleiadian star system and it is through Holly that she presents transformational information accessible to anyone interested to evolve to a more enlightened existence. In Shift: New Paradigms for a New Earth Holly reveals outmoded programs that do not support self-empowerment or self-love and introduces ways in which the reader can shift these outmoded paradigms, embracing new ideas and concepts that align with our divine being. Holly explains our evolution from a mental-driven culture into a heart-centered species and how our previous patterns of behavior are no longer serving us. She covers the nature of time as not being linear, reincarnation, our nature as multidimensional beings, why we are here, vibrational frequency and other dimensions. As we move into a new age of expanded spiritual awareness, these subjects are becoming part of our accepted knowledge base and reality. Our vibration has shifted, and continues to shift, bringing us into an unprecedented era of expansion. It reasonably follows that new knowledge will now be available to us that is in resonance with our new vibration. 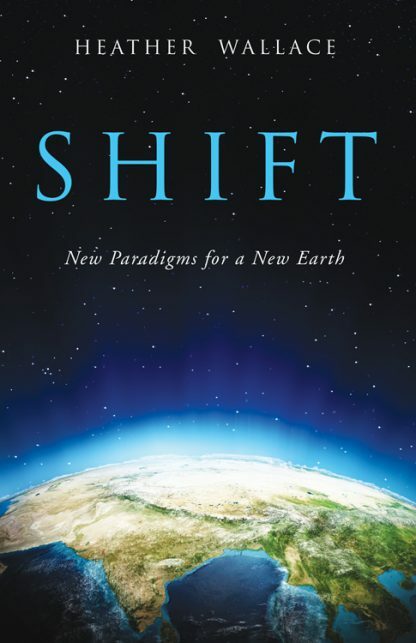 Shift: New Paradigms for a New Earth is a practical guide and presents relatable, simple examples and exercises to help the reader fully embrace the information and put it into practical application in their everyday life. Heather Wallace is clairvoyant and clairaudient and serves as a translator�one who communicates with teachers in the non-physical realms and records and shares their messages for the purpose of helping people align with their authentic, divine self. Heather�s driving goal in all endeavors is to help people realize how amazing and beautiful they are. A former special education teacher, Heather now devotes her time to writing and teaching yoga. She lives in Asheville, NC.